On time and as quoted. Eugene is a good guy and quality craftsman. 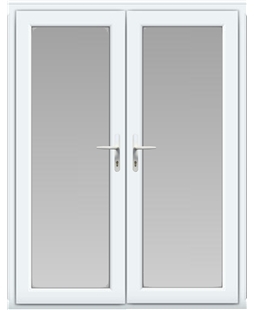 Our patio doors were fitted by Eugene. He was very friendly and polite, worked hard and did a very good job of the fitting. We are very pleased with the doors and the service provided. Simon was fantastic, very friendly and knowledgeable and completed the work quickly. Would highly recommend! Neil and Tom arrived when they said they would and worked diligently through very wet conditions without complaint. Their manner was courteous, professional, well-mannered and polite. They explained what was required and carried out the installation within the time frame anticipated. An excellent service overall. Very friendly and efficient - good job! Phil Bennett here, You supplied my Mum with a garage side door and fixed window recently. Just to say both are fitted and all went well. Looks fine and better than the previous painted door / window. All looks a bit too ‘posh’ for garage. I liked the fact that the price is what the price is. The door we chose was to replace an old and broken wooden rear garage door. when it arrived, was just what we required and the fitter, Andy Denton, was polite, punctual and professional from estimation to execution of the job. The doorway he had to fit the new door into was challenging as it wasn't particularly plumb, but Andy worked patiently to ensure it was a good fit and my wife and I are delighted with the end result. Andy is a credit to your firm and we would recommend your company to our friends and family on the strength of the service we received from him. Great friendly advice and communications via phone. Installation was excellent and professional. Will use again if needed. There was an excellent choice of doors available. I did want a composite door but unfortunately they were too big for my cottage. Greg helped to identify a suitable alternative UPVC door which looks great and I am very pleased with it. The whole process went very well and as a result I would recommend Value Doors. Scott the installer was excellent. Arrived promptly and completed the work satisfactorily. 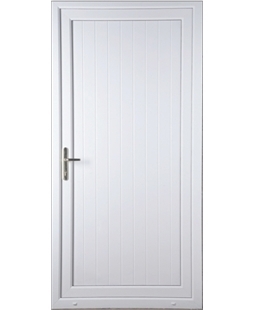 Very good value doors, would highly recommend. The gentleman who came to fit the door was extremely polite, friendly and hard working. Very happy all round. Firstly when I spoke on the phone enquiry about garage doors I didn't have a fixed idea as to what I wanted or needed so the advice given was good. The fitter was good and the work carried out I was very pleased with. Thank you. Mark who fitted the doors was very good, showed full knowledge of the product and his workmanship was of a very high level. Once again very pleased with value doors, excellent service by Andy. First class, very polite and helpful. Another order on its way, no need to go anywhere else. Would recommend to anyone. a first class job very happy with the work and my new doors. Our installer, Maciej (Magic), was very polite and efficient. It was raining most of the time he was here and he got very wet but this did not faze him. He just got on with the job. Well done. Very happy with installation, will be recommending Ray and Nicky to friends and family. Excellent service from Ray. Thank you. (Maciej) Magic was very polite and a conscientious worker. This was an easy ordering system, clear website, speedy visit from Bernard and an efficient fitting within 10 days of ordering. I would certainly recommend the company and the fitter. Paul was a great guy. Great to speak to and a professional. I found the company very easy to deal with, straight forward from order being placed and installation, the guys were very efficient. Great job completed quickly by good competent workmen. Thanks Dan. Very happy with door and Paul who fitted it. Very happy with the installation. Fitter left the area very tidy. 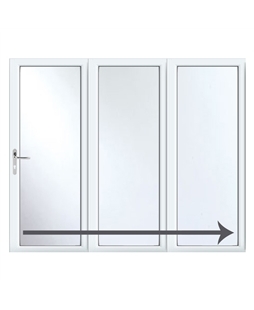 We found the gentleman very professional with a pleasing manner and we are happy with the door which is value for money. the fitter Richard Box was very competent, polite & helpful. Very thorough. Explained exactly what was going to be done. Cleaned up after themselves & removed all materials when finished. excellent service all round. Fitter could not have been more polite and considerate. Well pleased. I may require more work to be done at a later date and will contact you first. Your installer, Greg Matthews, was prompt, helpful, friendly and polite for both the initial inspection and installation. The site was left clean and tidy. No payment was requested until we were happy with the door. The door is sturdy and well fitted. Paul did a fantastic job. Couldn't fault the service at all! Very happy with the door and installation service. Greg arrived at the arranged time for both measuring up and installation. The door has been installed very neatly, fits perfect and all very tidy. Very pleased with the door and would recommend Value doors to friends and family. Based on the service from Greg I would definitely use Value Doors again. I was very pleased with every aspect of the installation of my garage door. Martin arrived promptly for both his estimate and on the day of installation and I felt that he was friendly and competent and I am very pleased with the result. He also left the site neat and tidy and I would not hesitate to recommend the company to my friends. We absolutely love our new front door! Makes the rest of the house look scruffy. Bernard did the work, above the call of duty and cleared up, yes please definitely call again in the future. Thankyou so much Value doors and Bernard. Excellent service, very pleased with our new garage door. The guys were amazing and really friendly. Arrived on time, did a first class job, would have them back again. Outstanding service, from the initial callback, through the survey and the installation. Very pleased. Doors perfect, both appearance and function. Installation by Martin Hindle absolutely perfect. Everything went very well. Installer Dan was really nice, very polite and tidy. Pleased to have someone like that to do work on your house. Door was fitted by Paul. I was very impressed with his attitude and advice on choosing the right product for our needs. Very good company and very good service. Will use you again soon, thanks very much to you and the fitter. Very pleased with Richard when he first came to our house to measure, very friendly and helpful. Fitted our back door to garden walls, excellent job. You can tell he is a professional as he took a lot of time and care to fit and did not rush. also very pleased with the price as had a quote which was triple the price. Back door is excellent quality, very pleased and would recommend company and Richard to anyone IO knew were looking in the future. Very helpful and very nice, his name was Paul; I would recommend him. Very pleased with the service from start to finish, from the moment I placed the enquiry I felt that everything was under control. 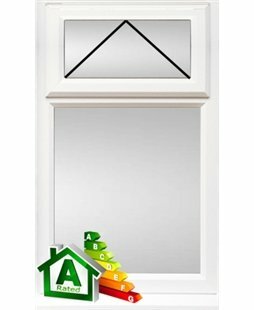 Glenn, the person who measured and installed the door was professional, reliable and provided a good service. So far so good! Excellent service from the fitter. Quick and friendly service. Value for money. From the initial phone call to the survey, installation, every aspect has been first class. Very impressed with the quality of the product. The installer did a great job, he was polite, friendly and on time. The fitter arrived exactly on time and was friendly and courteous. The door is just as I had expected and of a very good quality. Andy was so helpful right from the survey. If we require a front door I would definitely call Andy again.